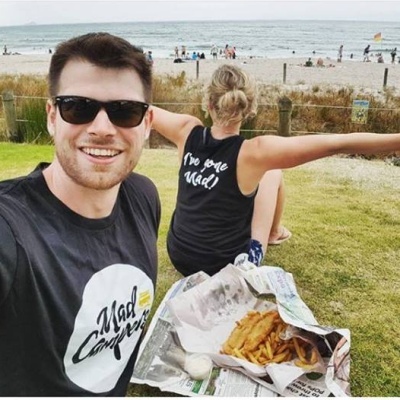 We want all of our customers to head home knowing they have had a real Kiwi experience…. So we’ve created the Mad Challenge! New Zealand is one of the most unique travel destinations in the world, and so much fun when you get off the beaten track to embrace some of the little things that make it so epic. Simply upload photos to your social media pages of you completing the 9 main challenges below while wearing your complimentary Mad Campers tee shirt and we’ll give you 5% of the value of your upon your return – it’s that easy! 4. Show us your tagged photos when you return your camper and we'll give you 5% of your Camper rental. (Does not include extra rental items, insurance or extra payments). Please note the Mad Challenge is only available for bookings of 7 nights or longer. Social media pages created specifically for the Mad Challenge will not be accepted. By participating in the Mad Challenge and posting photos you give Mad Campers permission to share these images for promotional purposes. Remember to follow us on all our socials to keep up to date with what's happening!